An incredible record that sounds as modern today as it did when it first emerged. I was really struck just by this minimalist production and the atmosphere they captured on this record. It's just been one of these records that I go back to over and over again and it's been a real touchstone in my career. I just think it's so beautiful and so tastefully constructed. Again, it's also so unique. There's nobody else who has ever touched them. They've made this insanely perfect record – and I rarely say that, that it is a perfect record – and I associate it with the emergence of myself as an adult where it just felt like a whole different universe than what I had experienced before. It sounded like a whole different planet. I don't even know how to articulate why I love it so much, other than it is a perfect recording. 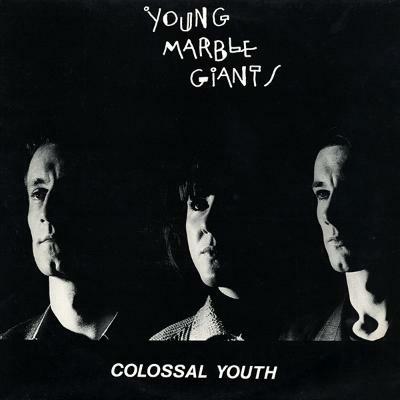 I guess the aesthetic of Colossal Youth is that it is so disciplined. You don't really hear that very often, that real confidence just to let things be really simple and unembellished: it takes a lot of balls to do that [laughs]. I feel too that any new generation that was exposed to that record would find it as thrilling as I did back in the 1980s; you can't really say that about too many records.